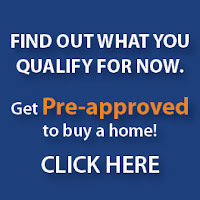 1.A Low Down Payment – Kentucky FHA Mortgage Loans only require a 3.5% down payment. And what makes that even more attractive is that it can be a gift from a relative. Do you have a parent or sibling who would “Gift” you some money for a down payment? If so, it could be time to apply for an KEntucky FHA Mortgage Loan. 3.The Seller Can Pay Your Closing Costs – That’s right. You need to have a quality Realtor who will help you negotiate not only the best price for the home, but also that the seller will pay your closing costs. HUD allows Kentucky FHA Mortgage Loans to have the seller pay up to 6% of the purchase price. Sounds good so far, a down payment gift and seller paying closing costs! It was some sort of excitement coming across your site recently. I arrived here now hoping to discover interesting things. I was not upset. Your ideas about new approaches on this subject material were useful and a fantastic help to us. Thank you for creating time to write down these things as well as sharing your thinking. specialists of this sector don’t understand this. You must proceed your writing. I am confident, you have a great readers’ base already! Thanks for sharing your thoughts about truth about male enhancement. HUD has released the new Handbook 4000.1. This handbook will combine and clarify information from several different existing handbooks and mortgagee letters, including existing HUD Handbook 4155.1. There are also many changes with the release of this handbook that will become effective with case numbers assigned on or after September 14, 2015. You may review the handbook at HUD’s website by clicking here. The HUD FAQ for the changes can be accessed by clicking here.
. Attached with this announcement is a chart that reflects some of the changes. If there is no case number assignment in the file at the time of submission on or after September 14, 2015, the loan will be underwritten to the new FHA guidelines. Several of these guideline changes are more restrictive. We recommend that you carefully examine your pipeline of loans to determine if and how they might be impacted. If any of the loans could be adversely impacted, you MUST get a case number assigned BEFORE September 14, 2015.